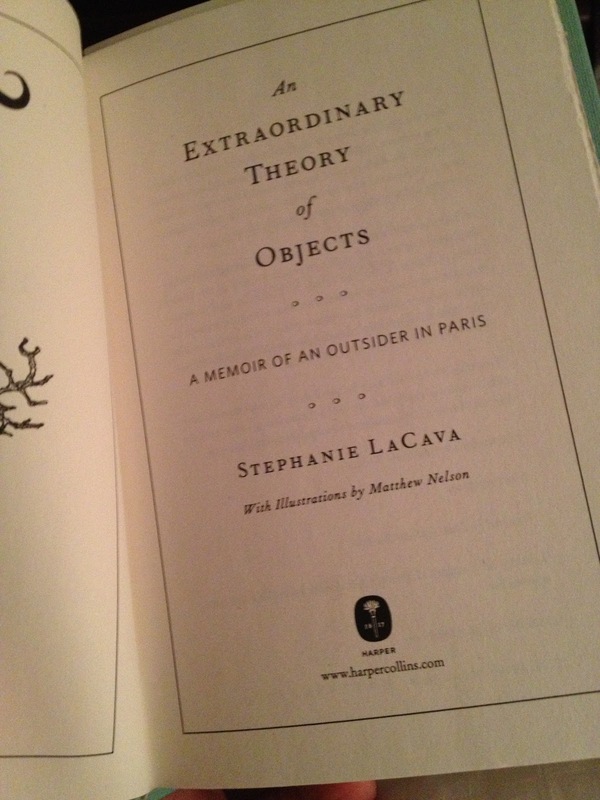 An Extraordinary Theory of Objects by Stephanie LeCava is a deeply personal account of an American girl suddenly thrust into French life as a child. Without a way to fit in, or many friends, Stephanie found solace in objects which she added to her small collections. 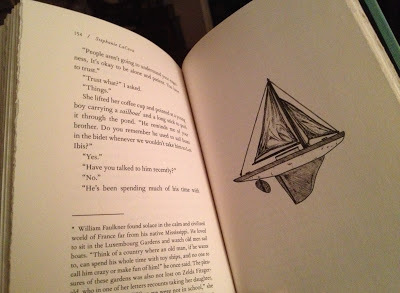 While reading the book, we find beautiful drawings of each object she loved, with a footnote describing its importance. This illustration of a sailboat reminds me of my own brother as a child, when he pushed a toy sailboat across the pond in the Luxembourg Gardens with a stick one summer. But her story resonates with me, and strikes a chord with my own life. For which of us bibliophiles does not often turn to the company of a book, or the comforting object within our reading spaces? Thanks to TLC Book Tours for the opportunity to review this book. Find other reviews here. This book sounds intriguing. Will definitely have to check it out. By the by, I see you are reading Little Women – I love that book! Haven't read it in ages, so maybe I'll give it a re-read next year. Enjoy! This sounds like a wonderful book… I like the drawing of favorite things. Delightful I'm sure. I'm reading The Hobbit now and so enjoy Tolkein's own illustrations in the book. He's a fantastic and detailed artist. Hats off to him for both a brilliant writer and artist. This looks and sounds like a book I'd also enjoy. Very lovely review, Bellezza! The illustration you showed is gorgeous – are they all like that? I love when there are visuals like this that so clearly tie into a story. This sounds like a lovely book. I think many introverts are drawn to books for that very reason… a quiet companion. I like books for their feel and look as well.